Spoilers ahead for This Is Us. On a special post–Super Bowl episode of This Is Us, the mystery surrounding Jack Pearson’s death was finally revealed. He survived a massive house fire, saving his family in the process, only to die of a heart attack later in the hospital. 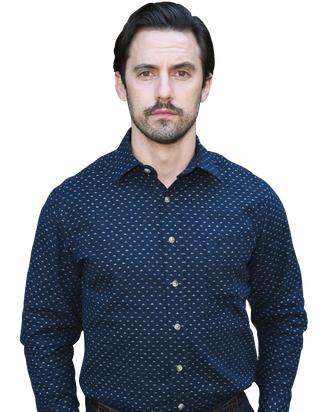 But here’s the good news for This Is Us fans: As we learned in Tuesday night’s episode, “The Car,” Emmy nominee Milo Ventimiglia isn’t leaving the show — or appearing in fewer episodes. Even though Jack Pearson didn’t live to see his children get their high-school diplomas or start a dream business with his wife, it’s not quite time to say good-bye to the Pearson patriarch, Ventimiglia told Vulture. “There is a lot that he never let his family know, whether to protect them or just spare them,” he said. On Thursday morning, we spoke with Ventimiglia about filming the Super Bowl episode, Mandy Moore’s stunning performance in the hospital scene, and why he’s relieved that the truth about Jack’s death is finally out there. We’ve had a couple of days to settle down with Jack’s sad, sad story. But what has it been like for you? It’s been a lot of heavy emotion worn on people’s faces, as opposed to inquisition into how he died. The tides have shifted, so it’s been — I don’t want to say “pleasant” because I think that’s the wrong word — but definitely I don’t have to carry the weight of holding this information anymore, which is very freeing. But now you’re dealing with people’s grief! People are genuinely broken up about it. Yeah, I know. Jack is one of those characters that is a source of great pain and a source of great joy. I feel like they work simultaneously, [but] they don’t completely break people. Or maybe they have. I haven’t run across anyone on the streets just yet. Do you feel any responsibility to comfort people? I don’t know if I feel any different now as I did before. The good news is this character and this show are impacting people. They’re getting [people] to talk about their own existence, their own loss, their own joy, as well as these characters that frankly they haven’t known all that long. And we’ll continue to see Jack, so it’s not like we lost him completely, right? Last night’s episode was so beautiful. Were you moved when you read the script? Yeah, I was excited. You never really think about the life of the car being the window into such a story, but it all comes down to that speech that Jack had at the very end, where he talks about how every bump and every scrape is going to be a memory and at a certain point that car is going to tell his family’s history. I thought that was a really, really beautiful note that Isaac [Aptaker] and Elizabeth [Berger] who wrote the script came up with. There are things that we all have in our lives that — they don’t define us, but they remind us — and I agree with you. It was a beautiful episode. Plus all those touches like the coffee cup that he leaves behind. That’s a gutting detail. Oh yeah, that’s just unfortunate. I’ve done that in my own cars, where you leave something and I won’t be in my car for a couple of days because I’ll be on my motorcycle and then I’ll get back in my car like, “Oh yeah, that’s right, I was drinking this bottle of water.” How heavy for Rebecca to be in the car and seeing that, knowing that that was Jack’s last cup of coffee. You watched the episode, right? What was it like watching the family deal with Jack’s death? Anything that has to do with the kids or Rebecca is the most crushing for me. It’s beautiful to see what what my fellow actors, my friends on this cast, are doing when I’m not privy to watch. I think a lot of it is just relative to my playing of Jack. I’m their father, I’m her husband, [so] my heart breaks for those folks. It’s tough to watch, but at the same time, really beautiful. I mean, Mandy, I’m constantly reminded how amazing of an actor she is. I get to have that front row to her performances. Same thing with the kids — the three teens have really come a really long way since their first episode that first season. I’m just constantly blown away by their work. It’s interesting all the little things Jack seems to know ahead of time. Even in the Super Bowl episode, Jack seemed to know that he wasn’t in good shape. Was that something you added to your performance? I’ve spoken about that with Fogelman and John [Requa] and Glenn [Ficarra], who directed that episode. There is a bit of magic with Jack. He sees things coming. He doesn’t ever put it on anyone else to make them worry or stress or anything. He has this true hope and belief. The only way I can describe it is it’s magical. And there’s that moment when Rebecca hears Jack’s voice while she’s at the vending machine. I know it’s up to interpretation, but what did you think that was? I didn’t think it was the physical presence of Jack. I believe it was something else. We recorded a handful of versions of that — some in a whisper, some in a full voice — but I like to believe that it was a presence. That’s just me, personally. It was something spiritual or mystical. Yeah, exactly. But I don’t think we’re going to see ghost Jack. There’s a lot of different Jacks we’re going to see, but I don’t think we’re going to see ghost Jack. Well, we sort of did, when he appeared to Randall in the cabin in season one. Oh no, that was straight-up hallucination. That was “I took drugs accidentally.” That’s all that was. Jack is also a master of words. In last night’s episode, he has that whole speech to Rebecca about snow falling. Where does he come up with that stuff? I don’t know. I think Jack doesn’t give himself enough credit. Even at the end of the episode, when he said, “I could come up with a word that’s going to make me sound a lot smarter than I actually am,” I think Jack really knows what he’s doing. He may not have that big education degree, but he’s a very smart man. Are we going to see Jack’s secret visits to Dr. K? I don’t know. When I read that draft of the script, that was the first that I’d ever heard anything about that. I think it’s a real possibility. Let’s talk about that fire scene, which was filmed with real fire. What was that like? Were the kids scared? Did you feel like you had to protect everyone for real? You know, I definitely feel the need to make sure everyone is looked out for. When we were filming the fire, that was very real. I never wanted the cast to be closer to the fire than I was, so it was kind of a natural fit with Jack pulling his family out of the fire. But it was real fire and it was scary. There weren’t any moments where I ever felt that we were in real danger, but it was fire in front of us. That was very real. There was no acting needed. What was it like filming the sequence when Jack shields Kate with a mattress? I know a stunt person was involved. Yeah, I did have a double that was in there. At times, you know, the production just won’t let me do a lot and I’m okay with it. But a lot of that mattress stuff, that was real fire on a real mattress and some shots I was in and some shots I wasn’t. Was it exciting for you to be action Jack? As much as I appreciated filming that, I was looking forward to when it was done and I could look every crew member in the eye and know that we were all safe. Those scenes are tough because you’re working with a real element that could harm someone. I just kind of put my head down, do the work, get through ’em, and then when we’re done, breathe a very, very big sigh of relief. Were you relieved Jack didn’t burn to death? Yeah, I think it was kind of Fogelman to not put the audience through that. It makes it all the more real when he dies on his own, in a room by himself, with his wife 30 feet away. To have Jack stay in the fire, it felt unnecessary. We didn’t as an audience need to know that Jack burned to death. It was just a very kind thing of Fogelman to let the audience not have that. We didn’t see him die at all, which I found very interesting. What did you think of that? Again, I was all in favor of it because I felt that was a kind nod to the audience. They don’t have to see their patriarch actually die. It also leads to Rebecca’s stunned reaction because she wasn’t in the room. Yeah, which is a really heartbreaking thing to know. But at the same time, I really believe that Jack knew something wasn’t right. You know, there is a lot that he never let his family know, whether to protect them or just spare them. He probably didn’t want to subject his wife to it. I think it was Jack not wanting his wife to see something that she’d have to face day in and day out for the rest of her life. Mandy Moore didn’t know that you were going to be in that scene, right? What was it like to just lie there and listen? It was pretty heartbreaking. I’m listening to my friend and co-star just completely crumble and it was hard to hear that and not want to pop up, “Hey, I’m okay!” It was a difficult thing because I’m hearing my friend break. John and Glenn told me they used the first take where she was really surprised to see you. I guess Jack wasn’t supposed to be in the room at all? I’m not sure the specifics of hospital protocol or whatnot, but I know that I wasn’t supposed to be [there]. Mandy was just supposed to go into this blank room. I remember speaking to John and Glen and those guys said, “We want to see you, but we don’t want to see you,” and I said, “I think that’s a great idea for Mandy that I’m just there.” Even in death, I don’t want to not be there for my scene partner, so to actually be there and lay lifeless I thought it was important. It seems like we’re going to learn more about Jack’s history now. During the fire scene, he just knew what to do in a pretty incredible way. Jack isn’t one that needs a plan. He makes a decision and he sticks with it. I think it was episode 12 — when they’re at the mall and he’s having a conversation with Miguel and Kevin and Randall — and he’s talking about having conviction in your choices, I think that goes for [his] quick response to emergency situations. There are a lot of people that would run away from a fire and then there are some that run into it. Jack is one of those who runs into danger. I’m sure you heard the ratings were huge for the Super Bowl episode. Yeah, yeah. I was pretty surprised — 30 million, it’s pretty impressive. I know that when you signed up for the show, you had the sense it was going to be special. Looking back, almost 30 million people just tuned in to see what happened to Jack. How does that make you feel? It’s encouraging. It’s encouraging that people love this character or want to know this character and be along with this whole group on this ride. It’s very exciting and encouraging and there’s more to come.